Health inspectors visit food service establishments and restaurants annually or more—and that means your restaurant or kitchen needs to be within health code requirements and regulations at all times. 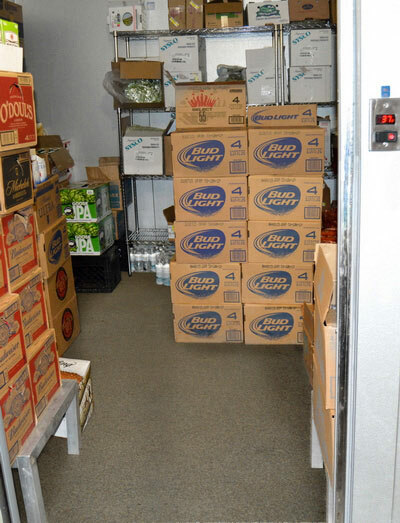 A major—and very common—violation&quest; Freezers or walk in coolers that are not properly maintained and cleaned. To keep restaurants compliant with health code guidelines, restaurants need to be certain that proper floor coatings are in place throughout the facility. The simplest solution? Everlast® Epoxy Flooring in freezer and cooler areas. Cold temperatures have no impact on Everlast® Epoxy Floors or their durability. Even in freezing temperatures, these floors maintain their antimicrobial, anti-slip and anti-cracking properties, helping you stay up-to-code while keeping your freezer or cooler safe and hygienic. The proper flooring can help protect your building from frost heave—a naturally occurring process that happens when water freezes and expands. Everlast® Epoxy flooring and cove bases provide a watertight seal that protects your substrate. And if a container leaks in your walk-in&quest; With our floors, you don't need to worry about liquid running down the wall and in the cracks behind your cove base. What’s more, by preventing frost heave you’ll avoid uneven surfaces in your freezer. Often, this happens when the expanded water pushes up floors causing cracks and leaving shelving uneven—which, of course, leads to more spills. From thermally-challenged southern facilities to installations in the frozen north, experienced specifiers choose Everlast® Floor and cove bases to maintain food service coolers and freezer spaces. Call today for a FREE sample and estimate and learn more about our cooler and freezer flooring options, installation process and pricing.